San Francisco, which had the greatest uptick in home values in recent years, now has the weakest market out of the nation’s top 100 metropolitan areas, with annual prices falling for the first time since 2011. 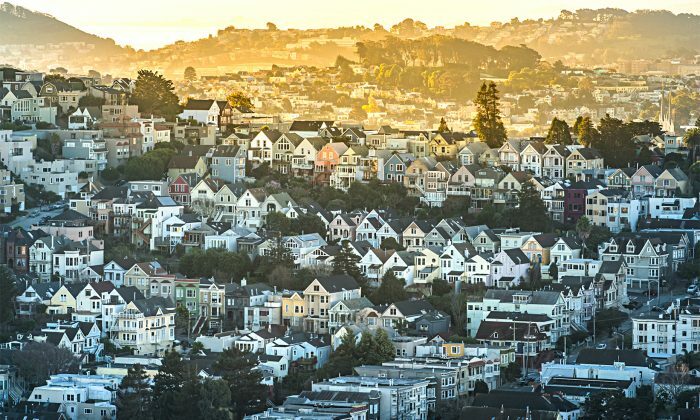 Single-family house prices in the San Francisco-Redwood City-South San Francisco area fell 2.5 percent in the first quarter of 2017, according to a report by the Federal Housing Finance Agency (FHFA). Meanwhile, home values in the United States rose 6 percent from a year earlier. Although mortgage rates had risen late last year, there was no slowdown in house price appreciation across the country during the fourth quarter, said FHFA Deputy Chief Economist Andy Leventis in a video. “Throughout the first quarter of this year, mortgage rates remained at the slightly higher levels, but once again price appreciation remained quite strong,” he said. Among the 100 largest metropolitan areas in the United States, value increase was the highest in Grand Rapids-Wyoming, Michigan, with home prices rising nearly 14 percent year-on-year. And the three states that had the highest annual appreciation were District of Columbia, Colorado, and Idaho. The FHFA index only takes into account purchases financed with mortgage loans that conform to Fannie Mae and Freddie Mac standards. Hence the FHFA index may not represent all homebuyers. 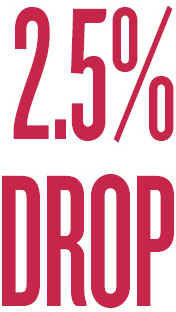 Also, the 2.5 percent drop in the San Francisco region in the first quarter is relatively minor compared to its big rally in the last five years. 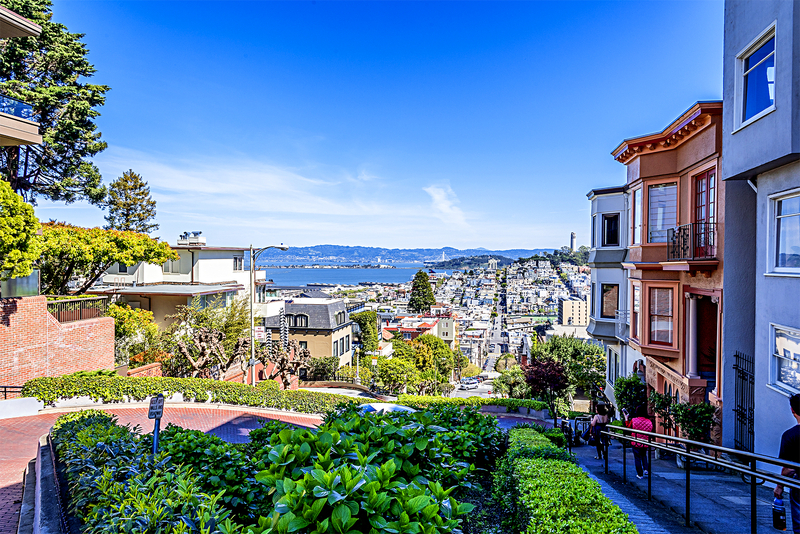 However, it is still an important sign that the San Francisco real estate market is finally slowing down, according to experts. Home prices in San Francisco rose nearly 70 percent in the last five years, according to FHFA. The city’s booming technology industry fueled job growth and demand for homes, while the rate of construction fell behind, making real estate unaffordable for many buyers. The median home price in the region was $1.1 million in the first quarter of this year, according to real estate website Trulia. There are signs that the pace of growth in the Bay Area may slow down further. The Bay Area Council, a public policy group, forecasts a nearly 40 percent drop in job growth in the region in 2017 compared to last year. In addition, uncertainty over immigration policies has made it hard for companies to hire foreign workers, especially in Silicon Valley. “We are seeing an increasing number of engineers who don’t want to live in this state of uncertainty. They are opting to go back home to India or China, or they are looking to work in Canada,” said Mike Grandinetti, chief marketing and corporate strategy officer at Reduxio, an IT firm based in Silicon Valley. U.S. companies started to pull back on H-1B, non-immigrant visa applications this year, resulting in a 16 percent drop compared to 2016. According to a poll by the Bay Area Council, a growing number of residents said they would like to leave the Bay Area. The poll, which was conducted among 1,000 residents, found that 40 percent of respondents led by millennials are considering leaving the Bay Area in the next few years. Cost of living, housing, and traffic were among the top issues listed by the residents. The poll also found that 76 percent of respondents believe the housing shortage in the region is threatening the region’s economy.